Your home is a warm, safe place. It stays temperate all year round, it's protected from most predators, and, in the case of your crawl space, it's completely uninhabited. 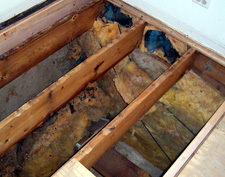 If the crawl space is vented with no vapor barrier, it also happens to be filled with exposed lumber in varying stages of decay, moldy insulation, and humidity. Can you blame pests such as termites, carpenter ants, wood-eating beetles, spiders, mice, and rats for doing whatever they can to move in? By sealing off crawl space vents, installing airtight crawl space doors, and lining the crawl space walls and floors with a durable crawl space moisture barrier, you can create a passive barrier that will help keep pests out of the space. 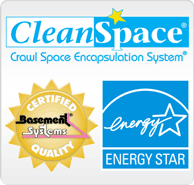 CleanSpace- the crawl space vapor barrier installed by Mountain Crawl Space of Grand Junction, CO, includes seven layers of high-density polyurethane, low-density polyurethane, and polyester-cord reinforcement prevents all moisture from passing through and proves tough and stubborn for pests wishing to pass through. And by keeping the space dry with a crawl space dehumidifier, you can make the space inhospitable to moisture-loving and unwanted residents such as the American cockroach, dust mites, and mold spores. Additionally, a crawl space vapor barrier will make the crawl space healthier, cleaner, longer-lasting, and more energy-efficient. Wide open crawl space vents (an alternative to the Crawl Space Encapsulation system) are like a wide-open invitation for pests to enter the home. Carpenter ants, termites and beetles can easily pass through all but the tiniest openings, and mice and rats can work their bodies through openings as small as a dime. In the summer, open crawl space vents also allow hot, humid air into the crawl space. As the cooler crawl space environment cools the air, this humidity leads to condensation all over the crawl space. This condensation will saturate the wood in the space and encourage mold growth. This creates a welcome habitat for wood-eating pests, who prefer old, rotting wood. Termites in Colorado can enter a crawl space even with the vents sealed. In response to drier climates and global warming, many species of subterranean termites have stopped swarming. Instead, they've resorted to "budding", where a section of the colony breaks off from the the parent colony, burrowing underground to their new homes. These termites can make their way through nearly any opening to infest a home and can cause infestations in a crawl space even if it has stone or concrete walls. Because as much as half of the air in a home comes from the basement or crawl space, you're breathing whatever's in the air in your crawl space. And as these pests begin to live, thrive, and survive in your crawl space, they'll begin to take up residence in the main part of your home. Pests aren't just damaging to your home- they're unhealthy, and when they're reproducing, the trouble will reproduce as well. And let's not forget that these animals will die in your crawl space as well! 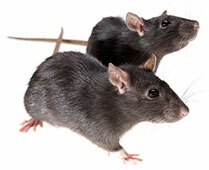 Mice and rats bring a variety of problems into the home, including salmonella and parasites such as ticks, tapeworms, ringworms and mites. Cockroaches spread bacteria and viruses wherever they crawl, and the allergens created by their carapache can linger in a home for as much as ten years. The crawl spaces these creatures live in are often damp and moldy, and the spores from mold, combined with dust mite waste, can release potent allergens into the air. If you experience allergy-like symptoms, such as congestion, difficulty breathing, red eyes, or swollen sinuses when at home and these symptoms are relieved soon after leaving the building, it’s possible that these symptoms are caused or worsened by indoor air pollutants and allergens such as mold spores. And as Glenn Fellman, executive director of the Indoor Air Quality Association states, "If you are reacting to a problem because somebody's been sick, you've waited way too long to address indoor air quality". The best way to protect yourself is to prevent the problem before it begins. 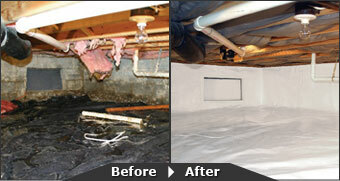 Sign up for a free crawl space inspection and estimate today! Mountain Crawl Space provides services in Western Colorado in areas surrounding Grand Valley, Grand Mesa, and Greater Grand Junction, CO.